Honey, I fed the kids. Summer is so close that we can taste it – and it tastes like ice cream, smoothies and chips (because no level of heat can stop us eating hot chips). 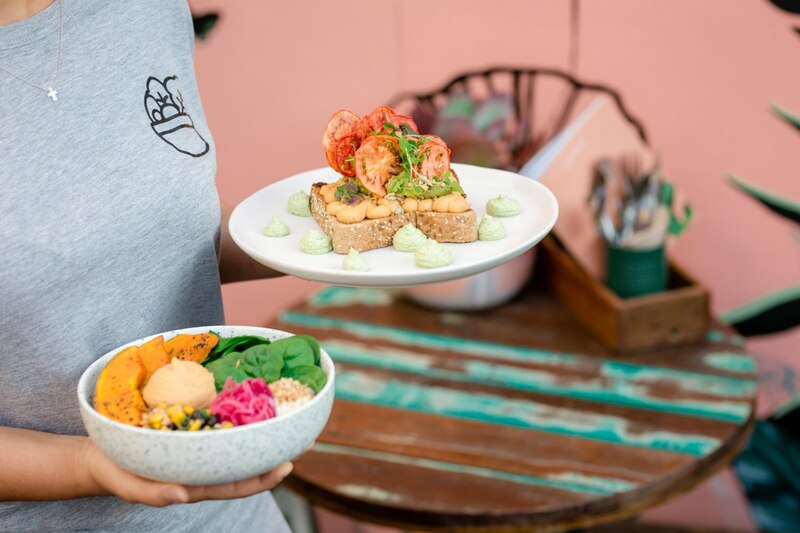 We’ve rounded up Brisbane’s coolest family-friendly summer dining spots, so all you need to do is round up your fam and decide where to go (um, good luck). Back in my day, we played hop scotch instead of staring down the barrel of an iPad (you know you’ve reached peak adulthood when these phrases start working their way out of your system). Take your kids back to humble ‘90s traditions with Gold School every Sunday at Ol’ School! From 12-6pm, there’ll be enough shaker fries, Paddle Pop’s coated with Ice Magic and irl entertainment to send a nostalgic shiver down your spine (with plenty of summer sips that’ll leave you singin’ ‘bout gin & juice). Anyone who says Italian food isn’t made for summer has clearly never been to Italy. Ristorante la Famiglia has enough pizza, pasta and antipasto to feed your tribe and then some, with bounds of mini bolognese and chicken schnitty and chips to keep the little ones pursing their fingers in appreciation. Save this one for Sunday because that’s when kids eat free! Bless’d be the bambinos. Taking kids out on the boat might be a bit of a mission (sea sickness, not enough cocktails), so let’s just settle on X Cargo’s shipping container social hub. With plenty of astro turf to run around on, there’ll be less allergies getting in the way and more feasting on crab buns, pork bao and a classic bowl of skinny fries with secret sauce. Fur kids are welcome as well, making for the ultimate family day out! Your mum’s a vegetarian, your dad’s a carnivore, and you just want to eat something, damn it. Miss Bliss has something for everyone with vego eats a-plenty, delicious meaty marvels and a bit of baby bliss for the smol humans. Take the party out back on the patio and you’ve got yourself a true blue Aussie summer lunch (that’s extremely Insta-worthy!). While there’s peanut butter in your pantry (which still isn’t that bad of a meal option tbh), there are buns, Italian eats and poké bowls in this one! The Garden Pantry was built for summer family fun, featuring a lush, casual dining hall with your pals Salt Meats Cheese, Mr. Bunz and Cheeky Poké Bar at your service. Hot tip: kids love the interactive water feature in the garden, and you’ll love seeing them have fun. A true jack of all trades, Corner Store Café makes for a wholesome summer family session. Using produce from their own herb and veggie garden, dishes including ham hock and cauliflower mac & cheese and spiced kangaroo salad showcase just how special fresh food can be. There are plenty of eats for the kids, flowers for sale, and cold drip coffee to keep you alert through all the excitement. - proud cat mum, whose cat would probably be too anxious to visit any of these places.